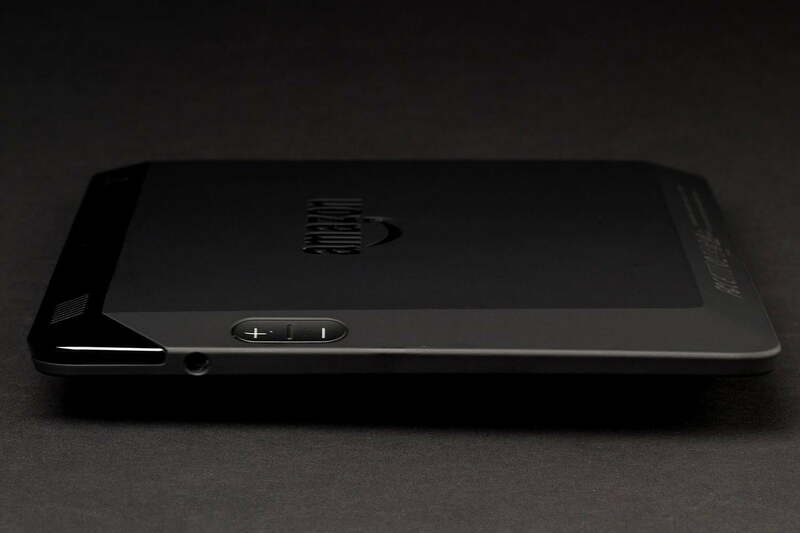 Industry-leading processing power and a newbie-friendly Mayday feature make the Fire HDX a nice first tablet, but it’s uncomfortable rigid edges and power/volume button positioning leaves a lot to be desired. Amazon app selection is also still weak. Since its original iteration in 2011, the Kindle Fire has been solid choice for novice tablet users and those more interested in consuming content than running dozens of apps or fiddling with the finer details of the underlying Android operating system. With the third-generation Kindle Fire HDX, Amazon has made its tablet novice-friendly, thanks to the addition of Mayday, a feature that lets you call up an Amazon customer service rep with a couple of taps. The Rep can walk you through any issues with the help of on-screen illustrations. 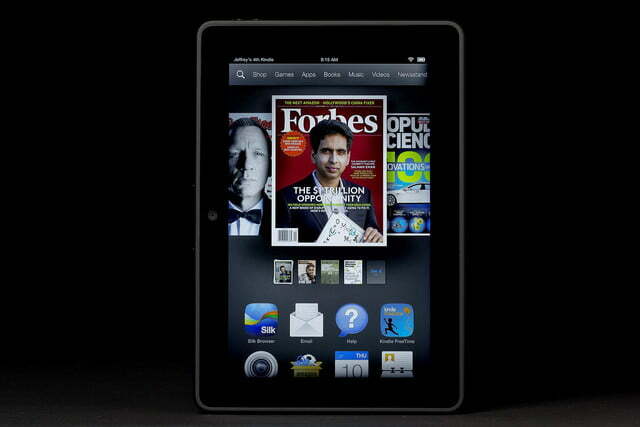 But Amazon faces stiff competition from Google’s excellent Nexus 7 and the upcoming iPad Mini 2. Whether the Kindle Fire HDX (which starts at $230 for the 7-inch model we tested, just like the Nexus 7) is the best choice depends on how much you care about app selection (where Amazon still lags far, far behind), how amenable you are to Amazon’s content ecosystem, and whether or not you’ll find many of the tablet’s unique features useful or fun. Let’s get this out of the way right away. The screen on the 7-inch HDX we tested looks great. 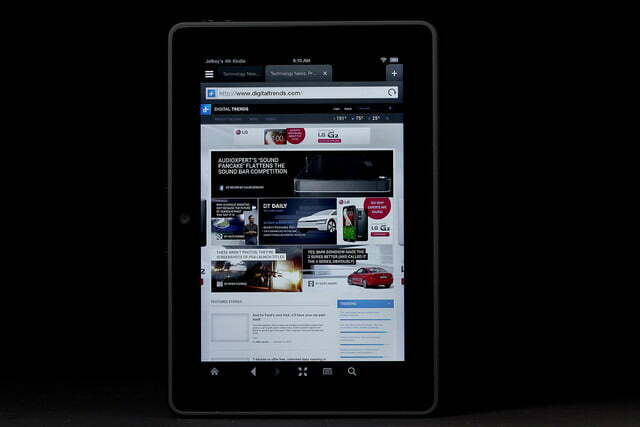 Its 1920 x 1200 pixel resolution matches the Nexus 7, and surpasses the 2012-era iPad Mini. The screen looks as bright as the Nexus 7 and, if you put the two devices side-by-side, the HDX’s screen has richer, more saturated colors. Viewing angles on both devices are equally excellent. Because the HDX’s edges are angled, the ports aren’t straight. When you plug in the charger or headphones, the cable connectors jut upward. The rest of the HDX’s exterior is not thrilling. 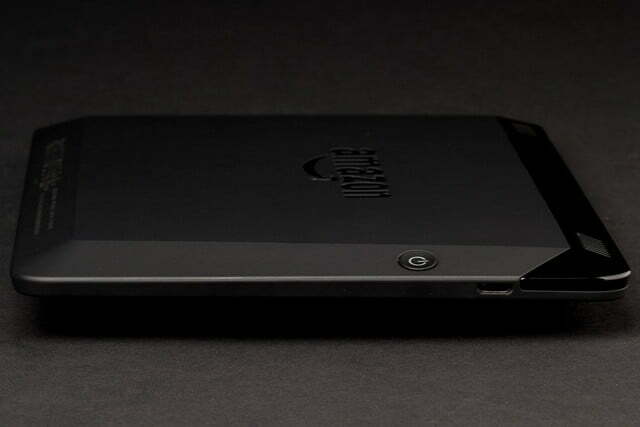 For starters, the device is about a half-inch wider, though shorter, than the Nexus 7, which makes it less pocket-friendly. The HDX is also heavier and thicker than the Nexus 7. 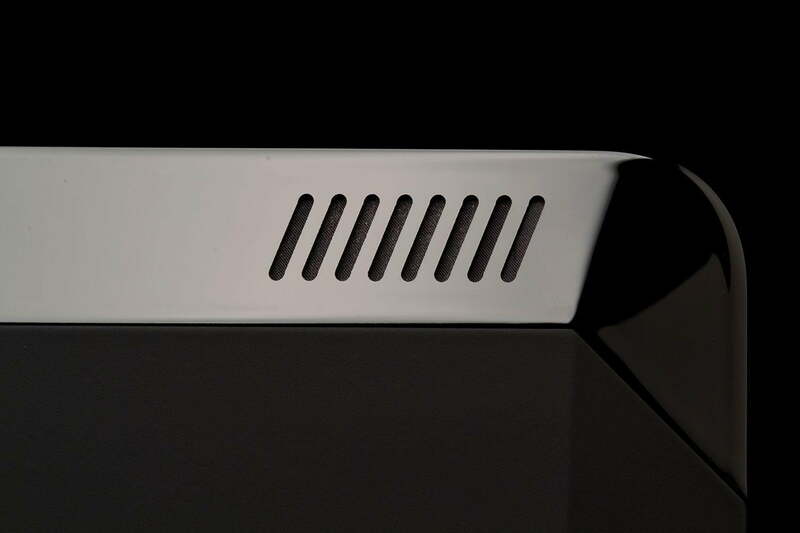 It’s the angled sides and back, and the HDX’s button layout that bothers us. 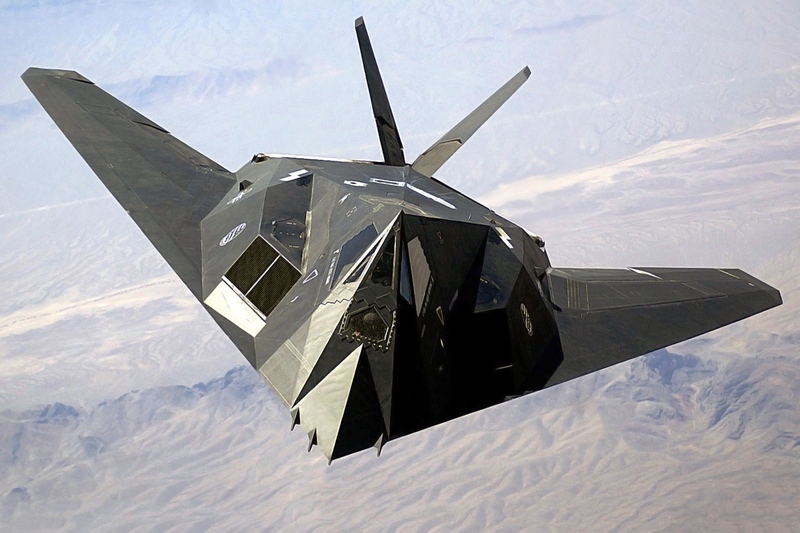 The matte plastic backside of the HDX is a collection of angles and flat edges that reminds us of the F117 Nighthawk stealth plane. 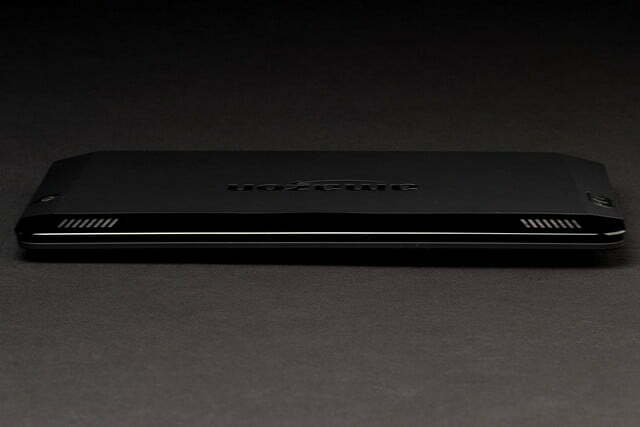 It was a great look in the 90s, but it doesn’t make a good tablet in 2013. After holding the HDX in our hands for prolonged periods, we found ourselves missing the rounded edges of the Nexus 7 (or the last-generation Kindle Fire). The HDX’s edges dug into our palms. 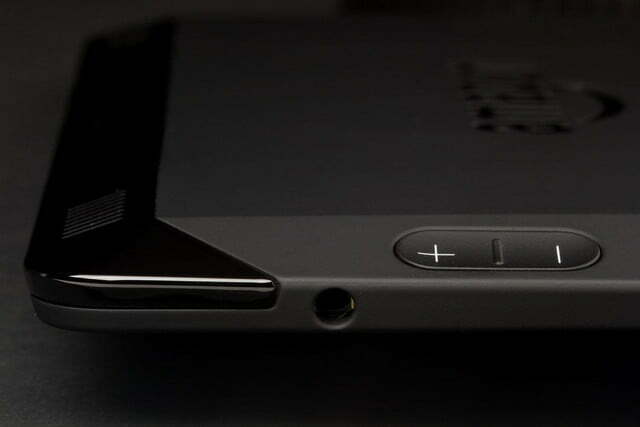 The tablet’s buttons are also on the back, rather than the sides, which makes them harder to find, although they are recessed. They’re also laid out for holding the device in landscape orientation, with the power on the left and volume rocker on the right. That might be fine for some, but we actually like to read books and magazines on our Kindle in portrait orientation. When holding the device this way, the power button is on the bottom, a couple inches from the left edge, and the volume rocker is on the top, also near the left side. We never got used to this – especially the placement of the power button. 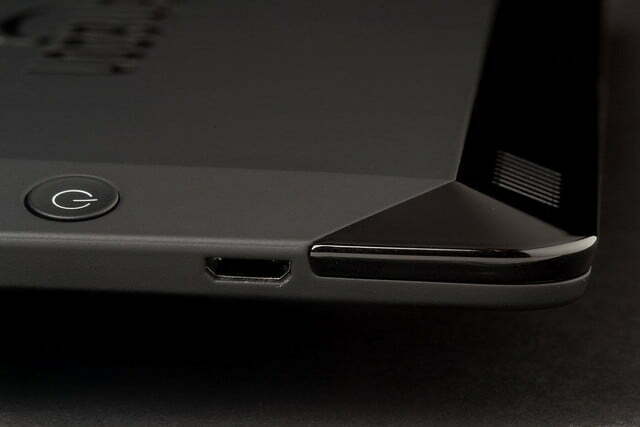 Ports are minimal, with the headphone jack on the right edge (in portrait orientation), and the Micro USB charging port on the left edge. There is no MicroSD slot; just like on the Nexus 7 and Apple’s iPads, you’ll have to live with the internal storage you pay for when you buy the device. Oddest of all, because the HDX’s edges are angled, the ports aren’t straight. When you plug in the charger or headphones, the cable connectors jut up toward you at an angle when looking at the screen. This could lead to a broken charger or headphones. The speakers are also on the back. They’re better than those on the Nexus 7, with more audible low-end sound. 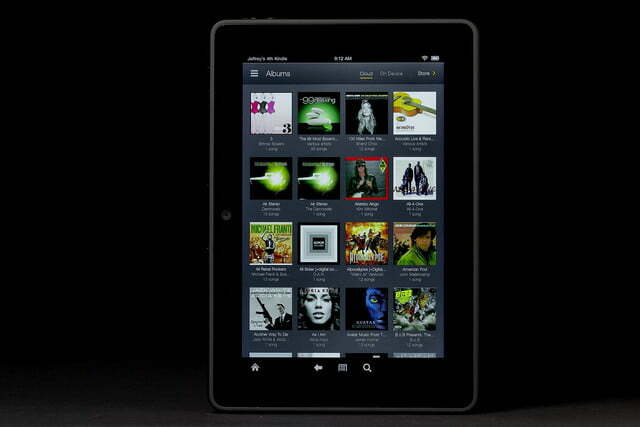 But frankly, last-year’s Kindle Fire HD, which featured Dolby Plus speakers, sounded better. Amazon hasn’t previously named the OS that the Kindle Fires run on, because it’s essentially a much-tweaked version of Android (4.2 in this case). But now, the company has decided a moniker was in order, and Fire OS 3.0 was born. The improved Fire OS now feels less restricting, but Amazon’s app selection is still weak. If you’re familiar with previous Kindle devices, you’ll feel at home. The main screen is dominated by a scrollable carousel of apps and media you recently opened, which functions well enough, but doesn’t feel organized. True to Amazon’s aim to sell you stuff, a row of similar suggested products sits below whatever book, song, or app is front-and-center in the carousel. A menu up top gives you quick access to specific content types and, of course, the Amazon store. The big addition here is an app drawer that looks a lot like what you’d expect from a standard Android device, but with bigger icons. You can access these apps by swiping up from the bottom. Swipe back down again to go back to the traditional carousel. We like this addition to the OS because it makes the HDX feel more like a full-fledged tablet when you want it to. When you just want to browse through your media, you can stick to the carousel. But make no mistake, those who like to customize their OS with third-party launchers and add widgets and other tweaks will prefer the stock Android of the Nexus 7. And those who are looking for the best app or game selection should look elsewhere. 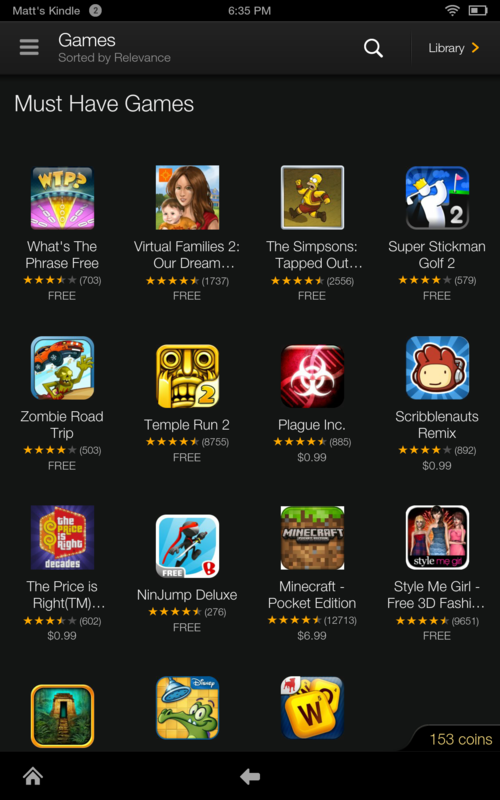 The Amazon app store has many big-name apps, but less than 100,000 apps in total. Android and iOS, meanwhile, both have close to a million apps. Here’s a tip: If you have another Android device that has access to Google Play, it’s fairly easy to get at least some apps from Google’s store onto the Kindle Fire. Using APK Extractor app, we were able to copy the Zinio magazine app from our phone, attach it to an email, and download it onto the Fire HDX. We then turned on “Apps from Unknown Sources” under Settings > Applications, tapped the downloaded app, and it installed and functioned normally. 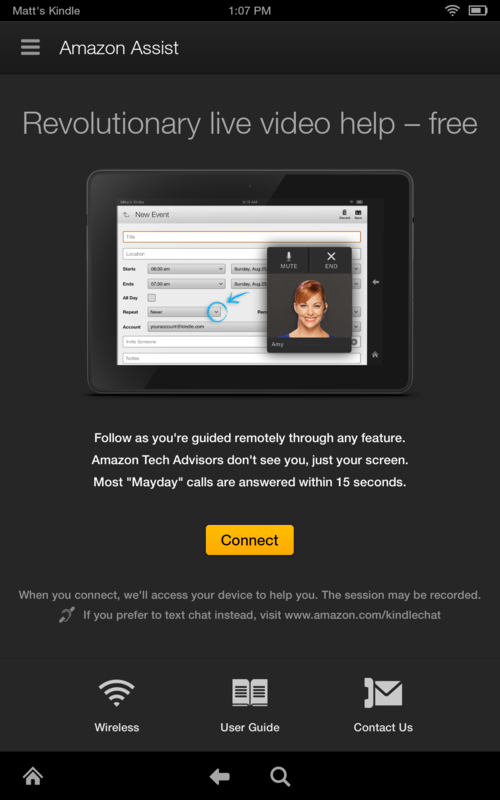 The killer feature that will likely make the Kindle HDX appealing to first-time tablet buyers is Mayday – a free tech support video chat service that’s available 24/7. Swipe down from the top of the screen to bring up quick settings, like screen brightness and the Wi-Fi toggle, and you’ll also see a life preserver-shaped Mayday icon. Tap it, then tap Connect, and you’ll soon be talking to an Amazon representative in a small video window. Mayday tech support feature that makes the device a great fit for novices and the tech averse. You don’t have to worry about looking like a slob, because the Amazon rep can’t see you, although you’ll see their face. But they can do some helpful things to help answer your questions about the tablet. They can draw on the screen, control the tablet, and move the chat window around so it isn’t in the way of whatever it is they’re trying to show you. We tried out Mayday to ask how to access our documents after downloading them from email. The representative we spoke to, named Jamie, was polite and professional. She explained how Mayday works, and asked for express permission to view the email app, since it contained personal data. He didn’t have an instant answer to our query, but after a few minutes, he was able to find a solution (using the Documents to Go productivity app). Since this is a brand-new device, we’ll give Amazon (and Jamie) the benefit of the doubt and assume answers will come more quickly once the Mayday reps have answered a few thousand of these calls. The real question is: will Amazon keep enough skilled staff on hand to answer Mayday calls at any time without a substantial waiting period? Our Mayday call was answered in under 15 seconds, but we tested the device before it was widely available to the public. If the HDX tablets sell well (which they likely will), and if they sell to tablet novices (also likely), the company will field a lot of Mayday calls. Asking a real person a tech question when they can see and control your device is much easier than searching Google, especially if you don’t know the tech lingo. If Mayday doesn’t get bogged down and backlogged into oblivion, it could be a key selling point for millions of potential first-time tablet buyers. We don’t know exactly how the service will play out, but one thing’s for certain: Whomever works the Christmas morning shift at Amazon’s Mayday offices deserves triple overtime pay. Amazon’s X-Ray feature, which overlays IMDB bios and factoids on top of TV shows and movies has been around since last year (and is surprisingly fun to use). This time around, the company is adding X-ray for Music, which scrolls song lyrics across the screen in time with the tune you’re listening to. It’s less ground-breaking than X-Ray for video, but is nice for those who like to sing along or just want to learn the lyrics of new (or old) albums. The problem is, your music tastes need to be very mainstream if you expect the feature to work with your songs. 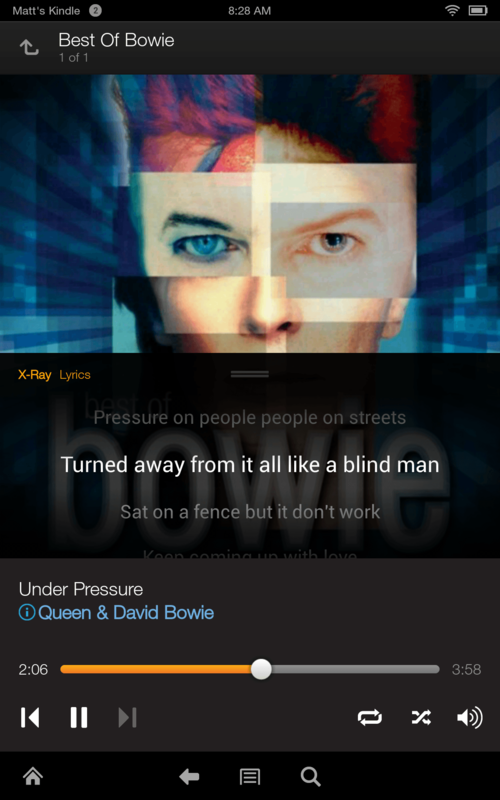 Our Amazon Cloud library contains over 1,000 albums, and we had to specifically go searching for the most mainstream artists, like Nine Inch Nails and David Bowie, to find songs with the [+Lyrics] tag, indicating X-Ray support. And even then, only some songs were supported, while others weren’t. Other mainstream artists, like Queen and Tori Amos, seemed to lack any X-Ray lyric support at all. The original Kindle Fire, and last year’s Kindle Fire HD, were a bit underpowered, sometimes resulting in choppy performance, especially in games. But that doesn’t seem to be the case with the HDX. 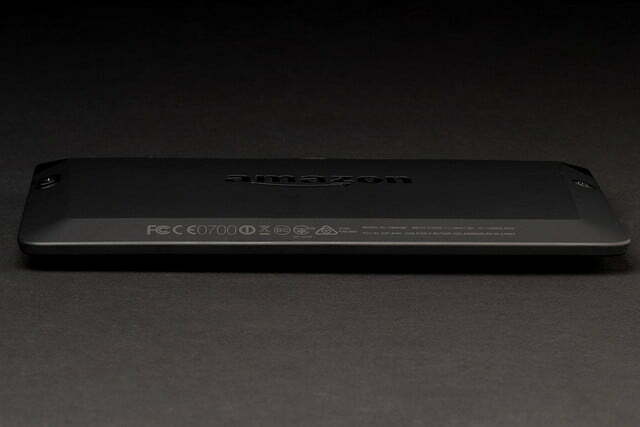 Amazon’s new tablet runs on a 2.2GHz quad-core Snapdragon 800 processor, with 2GB of RAM. 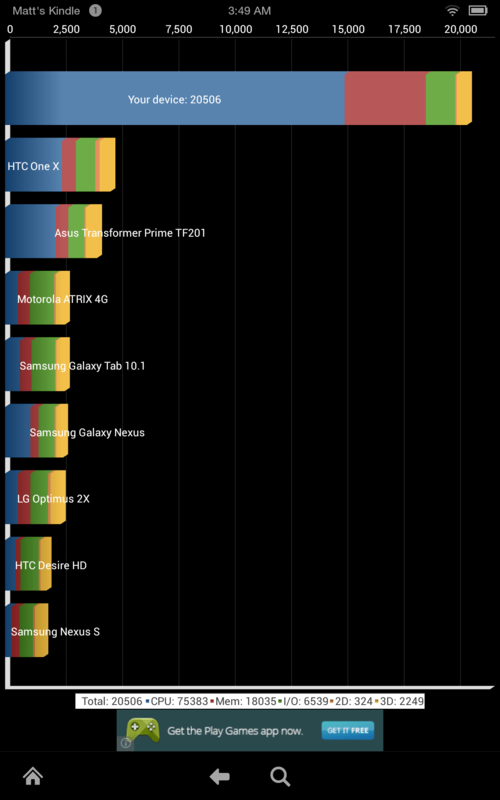 We don’t put much stock in benchmarks for phones and tablets, but the Fire HDX’s score of 20,506 in Quadrant is higher than what we saw from Samsung’s high-end Galaxy Note 3 smartphone. 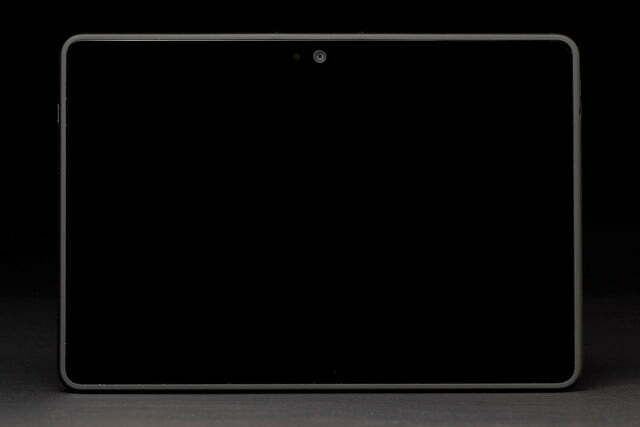 Google’s Nexus 7, by comparison, managed just 5,401 on the same benchmark with its older Snapdragon S4 Pro processor. We didn’t notice any performance slowdowns while testing the HDX; it felt very responsive and snappy, even when gaming. Usually, we don’t think rear-facing tablet cameras matter much. They’re generally pretty bad, and it’s hard to take good pictures while holding a big slab of plastic and glass, anyway. But if Amazon is aiming the Kindle Fire HDX at novice mobile device users, many of them probably don’t have a smartphone, or even a dumbphone with a decent camera to take pictures with. So the lack if a rear-facing camera on the HDX feels more like a missing feature than it would on other tablets – especially since the Nexus 7 and iPad Mini both have one. 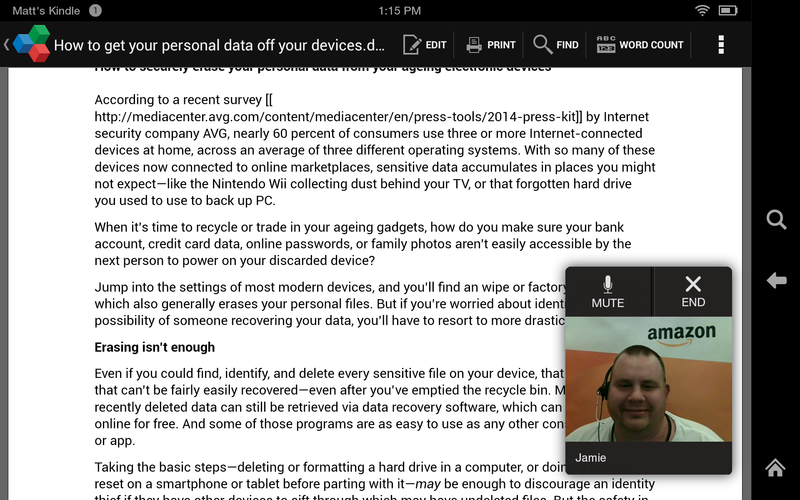 However, the HDX does have a front-facing camera for video chats and selfies, which works well enough. The HDX does have Bluetooth 4.0, just like the Nexus 7. But unlike Google’s tablet, it lacks NFC, which can be handy for automatic pairing with new NFC-enabled Bluetooth speakers. 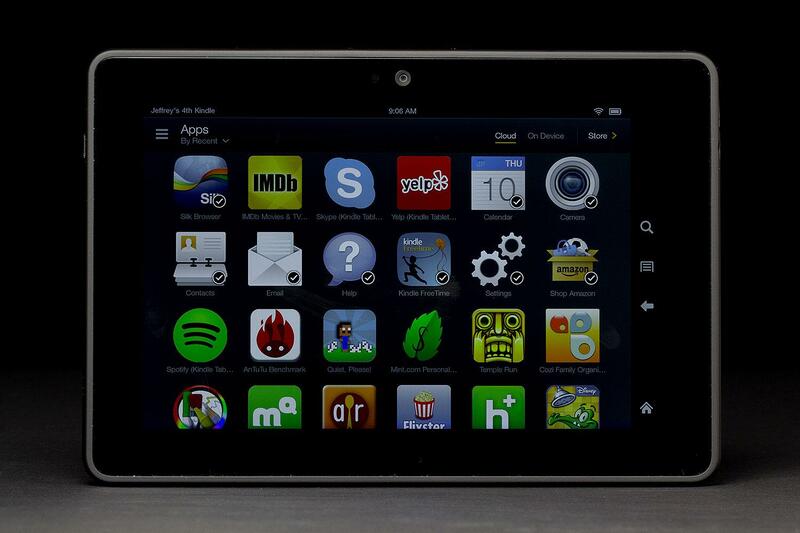 Amazon says the Kindle Fire HDX should last about 11 hours on a charge, while the Nexus 7 is rated to last just 9 hours. We think Amazon’s estimation is pushing it, but probably isn’t far off the mark, especially if you don’t leave Wi-Fi on or the screen brightness cranked up. Using the tablet off and on while writing this review over a period of 12 hours, installing and using apps, making a Mayday call, downloading and browsing through a few books and magazines, and occasionally checking Facebook, the HDX’s battery still had 53 percent of its charge remaining. The 7-inch Kindle Fire HDX starts at $230 for the 16GB base model with “Special Offers,” which are really just ads with pop up on the lock screen. You can get the device without the ads for $245, or pay the $15 to remove the ads later on, if they bother you. If you want more storage, a 32GB model will set you back $285 without ads, and the 64GB model with no ads is $325. 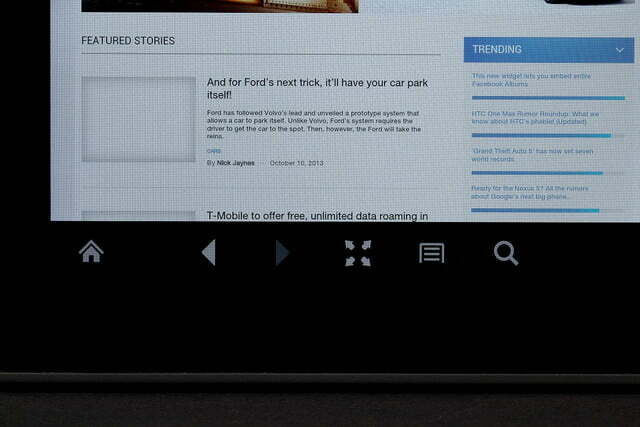 The screen is as bright as the Nexus 7 and has richer, more saturated colors. Those prices are for Wi-Fi-only models. If you want a 4G LTE radio for AT&T or Verizon, that adds $100 to the asking price. Of course, with those models, you’ll also need to sign up for a data plan. An 8.9-inch HDX with a higher-resolution 2,560 x 1,600 screen is also available, starting at $379 for 16GBs with ads and no LTE, and topping out at $595 for 64GBs of storage, no ads, and cellular data. Unless you’re the type to side-load movie files for offline viewing, or you want to carry around your whole music collection for when you’re away from Wi-Fi, the 16GB models should suffice. After all, the tablet is built around Amazon’s Internet services, like Prime Video and the Cloud Music Player. As we said, the app selection isn’t great. It’s doubtful you’ll have dozens of apps you want to keep installed on the device, unless you have a few kids who will be sharing the tablet. If you do have kids who will be using the HDX, the tablet’s parental controls and Freetime service, which lets them download an unlimited amount of kid-friendly books, games, apps, and videos for as little as $3 a month (with an Amazon Prime subscription), may also be a selling point. 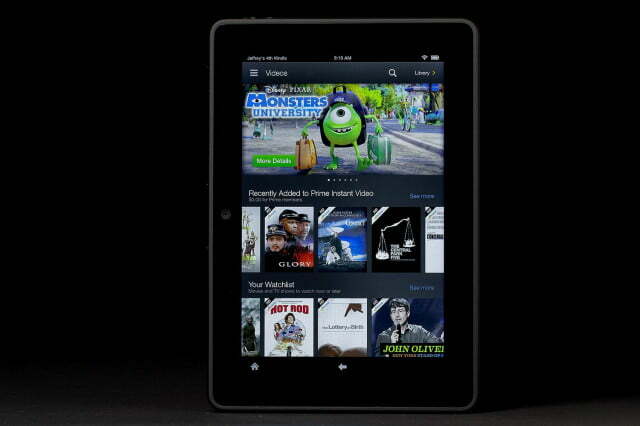 The Kindle Fire HDX’s improvements are all welcome. 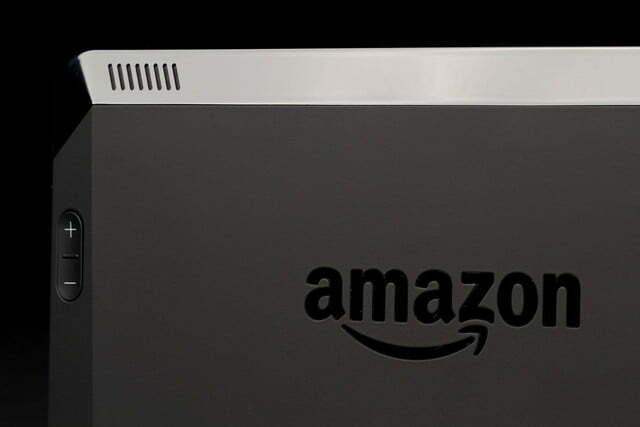 It has much more powerful internals that result in smooth performance, and an updated OS that makes it feel more like a tablet and less like a cluttered storefront for Amazon’s services. And the Mayday tech support feature could be a game-changer if Amazon can keep the free service properly staffed. The HDX is still, at its core, a showplace for Amazon’s content and services, but that’s not necessarily a bad thing. If you’re an Amazon Prime member, your music is synced with the company’s Cloud Music service, and if you combine that with Amazon’s unsurpassed ebook selection, the ecosystem is rich with content. App selection is the only area where the HDX falls short. If you want to play the best selection of games, customize your home screens, or you aren’t inclined to use Amazon’s services, you’re better off opting for the Nexus 7, or waiting for the LG G Pad or iPad Mini 2. 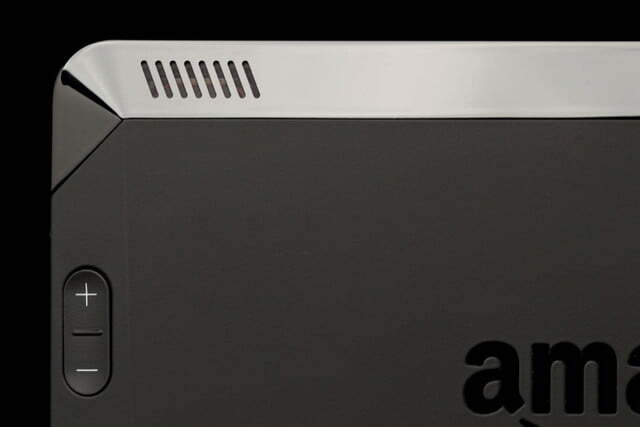 Mostly, we hope Amazon redesigns the Kindle Fire’s backside in the next iteration. The HDX’s angled edges and ports are an odd fit, both literally and figuratively. They aren’t comfortable to hold. And while the Kindle Fire HDX’s internals are decidedly modern, the back reminds us more of the awkward, angular design of the original Kindle ebook reader than a modern, well-designed tablet.